From majestic statues and colorful paintings to calligraphy scrolls and detailed drawings, each Chinese dragon symbol represents the power of the auspicious mythical creature and the cosmic sheng chi it releases through each breath. You can tap into this tremendous dragon power when using this iconic symbol in your feng shui applications. Although no one really knows the origins of dragon lore in China, experts do agree on where the symbol of the dragon originated. The dragon symbol evolved from the emblems used by the ancient tribes of China. Archeologists do not agree, however, on whether the dragon came from the symbol of a fish, a crocodile or a snake. Chinese legends, art, folk stories, and archeological finds support each of the theories with most experts supporting the theory of the fish. Those that believe dragons evolved from crocodiles compare the crocodile's ability to sense coming rain or the changes in air pressure to the dragon's ability to change the weather. As legend tells a carp once saw a mountain and wanted to visit it. The determined fish swam upstream, over waterfalls and through rapids to reach the mountain. The carp came upon a mythical Dragon Gate, successfully leaped over it and became a dragon. 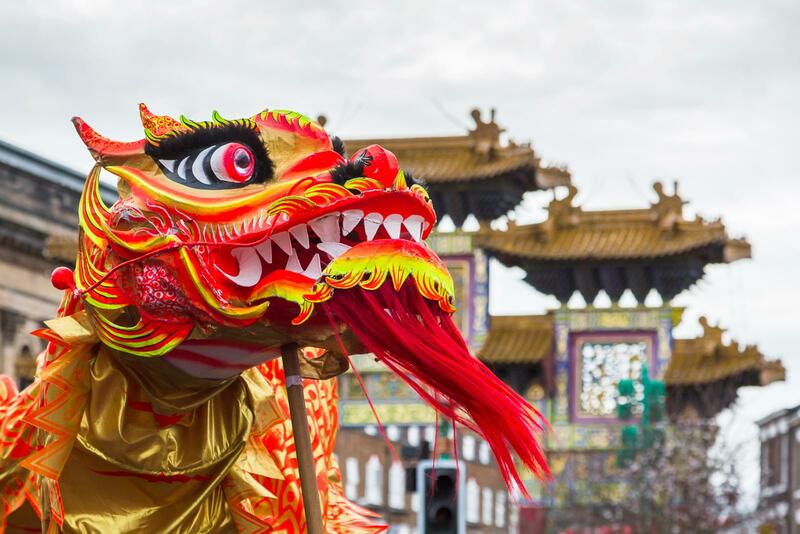 Chinese dragons are strongly associated with moving water such as rivers, oceans and waterfalls. They are known as the lords of moving water. Unlike the dragons found in the western culture, Chinese dragons are gentle, friendly and wise. Depicted as mythical dragon drawings it is easy to understand why these beautiful creatures, the dragons of China, were loved and worshiped. Considered the angels of the Orient, the dragon symbolizes the natural forces of nature. yin yang dragons symbolize the balance of all things in the universe. In Chinese mythology there are nine classical types of dragons. A horned dragon - The most powerful kind of dragon. The winged dragon - The oldest of all the Chinese dragons served the yellow emperor, Huang Di. The celestial dragon - Considered the divine mythical creature by the Chinese people, this dragon represents good fortune, prosperity and abundance. It is the protector of the mansions of the Gods. The spiritual dragon - Brings rain and wind to the earth to benefit man. The dragon of hidden treasures - Protects concealed wealth. A coiling dragon - This dragon is a water dragon. The yellow dragon - Presented Emperor Fu Shui with writing instruments after it rose from the water. The dragon king - Composed of four separate dragons each ruling one of the four seas of the north, south, east and west. The homeless dragon - Lives in the ocean or in the mountains. The dragon is the fifth animal sign in the 12-animal Chinese zodiac. Those born under the dragon portray many of its characteristics, such as being highly successful, lucky, authoritative and a very honorable individual. 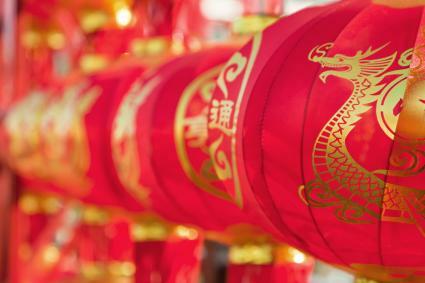 You can capitalize on your Chinese zodiac animal sign of the dragon in feng shui applications. Choose a dragon representation in art, a figurine or jewelry. To attract a compatible mate, display the best zodiac animal matches in the southwest sector of your home. Display your Chinese dragon symbol in your fame and recognition sector (south) to imbue the dragon's energy. You can wear this iconic symbol, carry it in your purse or keep on a keyring to tap into the magical creatures essence. The Chinese symbol for the word dragon, as shown on the top right-hand side of the page, is one of the most complex of all the Chinese symbols. 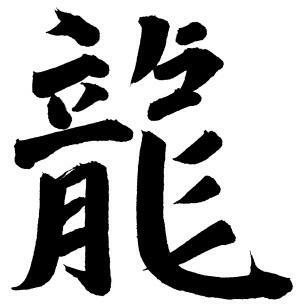 The symbol, called a hanja, is popular as a calligraphy scroll wall hanging, painting or drawing. Hanging artwork of the symbol for dragon brings the power and protection of the dragon into your home while increasing the flow of auspicious chi.Calligraphy scrolls are often made on rice paper using a special ink or the symbol is painted onto white brocade. The Chinese Calligraphy Store offers a beautiful selection of dragon calligraphy scrolls with a nice selection of symbols for various kinds of dragons. Mercury Treasures: This 6.8" brass dragon is just right for an east sector or east corner in an office or sitting behind your desk keeping a watch as you work. Feng Shui Import: You can find a wide range of dragon statues, key fobs, wind chimes and other decorative objects for your home. Buy Feng Shui: If your dragon sign is in the water element, this is the perfect dragon statue. If you know the zodiac element(s) that go with your zodiac animal you can select the appropriate color that matches the element, such as green for a wood dragon or blue for water dragon. If you wish to buy a dragon statue for a specific sector, such as fame and recognition (south sector), you select one based on this instead of your zodiac element to boost your fame with a red (fire) dragon. Whether you choose a painting, drawing, statue or calligraphy scroll, bringing a Chinese dragon symbol into your home or office will enhance the sheng chi and provide you with the protection and power of the dragon. Feng shui principles and applications can guide you with the best compass directions for a Chinese dragon symbol.